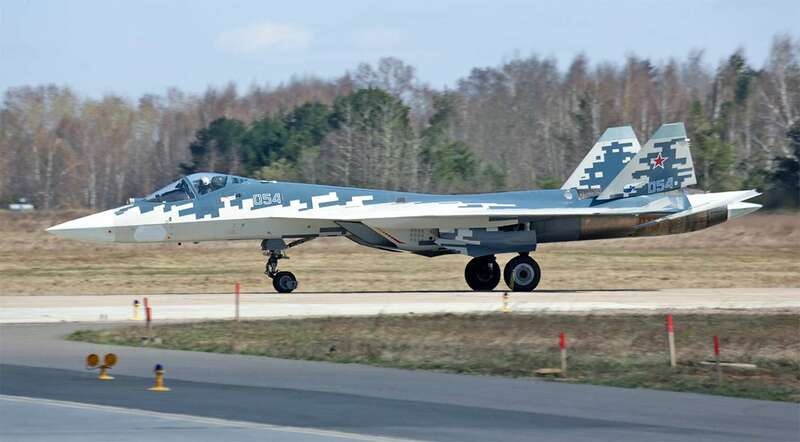 "The Su-57 is not an F-22, it's not meant to be, but it packs some novel attributes to offset what it lacks in stealth, at least to a limited degree. Russia's 5th generation fighter aircraft, formerly known as the T-50 and now officially named the Su-57, has been in the news a lot lately. India's decision to finally walk away from the joint program could be a catastrophic blow to the jet's future, which followed an abortive deployment to war-torn Syria late last February. Russia's inability to afford decent sized production lots of the new jets and the aircraft's ongoing engine saga also have taken their toll on the program. And above all else, the aircraft's degree of low-observability (stealthiness) has long been in question, as it lacked many of the key features that define modern stealth fighters. But none of this conclusively means the Su-57 doesn't have some redeemable qualities and features that are worth pointing out…." It is a pretty airplane.